With the rapid growth of ICT, almost all the entities exist in this world are moving towards computing enabled digital space. At present, the computing infrastructure is not only an infrastructure for scientific computation and communication, but also it has been considered as a platform for computation of anything appearing at anytime and anywhere. One of such computing platform is smart environment (SE); which is an intelligent physical environment equipped with different types of hardware and network tools & technologies in order to sense and interpret the present context of the environment so that proactive services can be delivered to the users/inhabitants for making the inhabitants lives more comfortable. Researches in different directions at different levels in the domain of SE are currently becoming very popular in the minds of researchers. 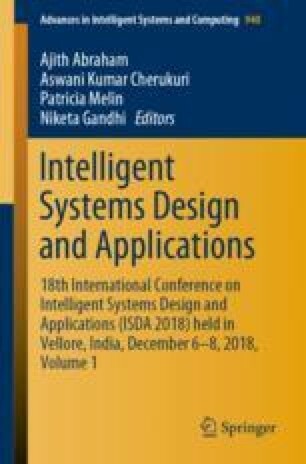 This work is also such kind of research work wherein the mechanism for intelligent control of the devices through learning has been considered. Learning is the major attribute to be incorporated in a SE through which the environment will be able to understand about the preferences of the status of the devices for a specific inhabitant at a given time. In this regard, this work tried to find out the mechanism to enable the learning feature by proposing a data structure. Working concept of the proposed data structure and running time analysis of the same also have been placed in this paper along with its required procedures. Experiments also have been performed for evaluating the proposed mechanism. The expenditure for participating in the conference including travel allowance is supported through the faculty and staff development grant under TEQIP III project of GUIST. We are thankful for the support.